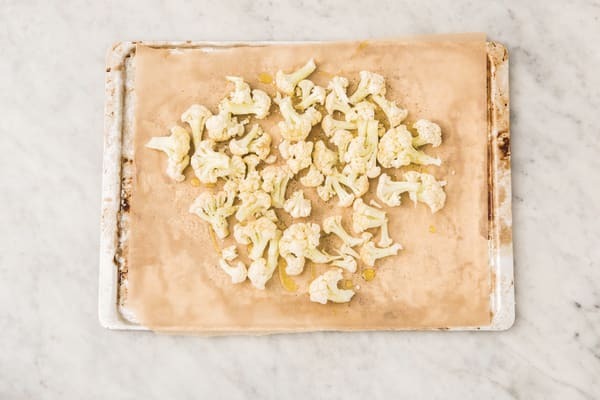 While the lamb is in the pan, cut the cauliflower into small florets, place on an oven tray lined with baking paper and drizzle with olive oil. Season with salt and pepper and toss to coat. Roast for 20-25 minutes, or until tender. Finely chop the parsley. In a small bowl, combine the Greek yoghurt and 1/2 the parsley with a pinch of salt and pepper. Set aside. 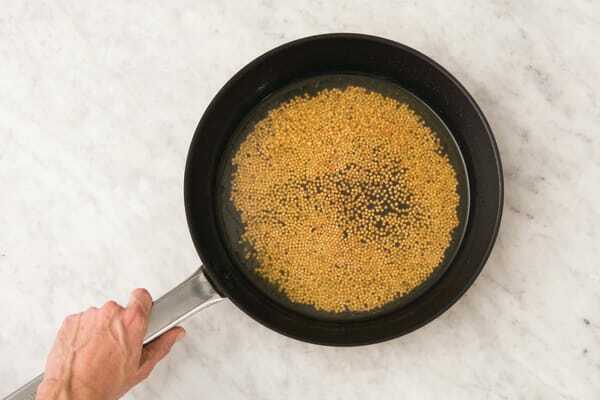 In a medium bowl, combine the Souk Market spice blend, the salt and a generous drizzle of olive oil. Add the seared lamb to the spiced oil and toss to coat. 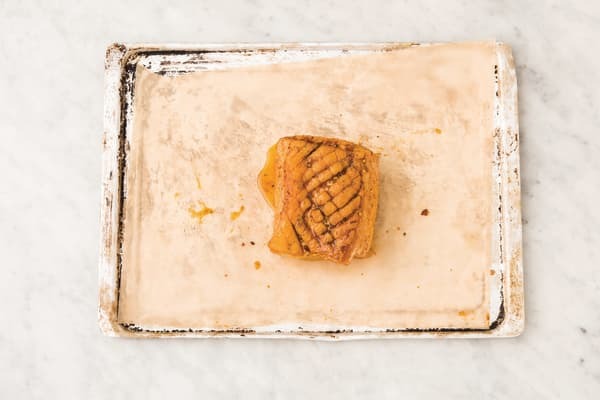 Transfer, fat-side up, to a second oven tray lined with baking paper. Roast for 15-20 minutes for medium or until cooked to your liking. Remove from the oven and cover with foil to rest for 10 minutes. TIP: The meat will keep cooking as it rests! While the lamb is roasting, clean the frying pan. 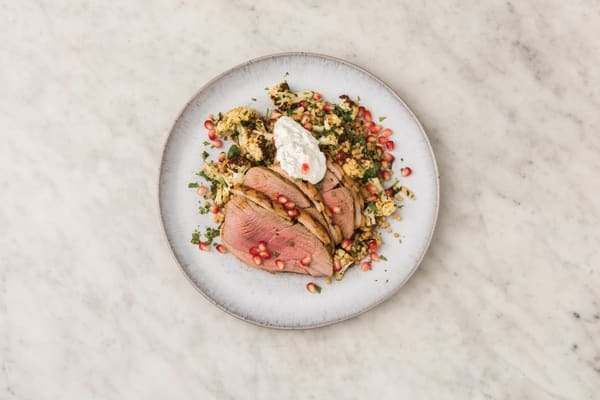 Return to a medium-high heat with a drizzle of olive oil and the pearl couscous. Toast, stirring occasionally, for 1-2 minutes or until golden. Add the water and a pinch of salt. Reduce the heat to medium and simmer, stirring occasionally, for 10-12 minutes or until the couscous is tender and the water has been absorbed. Transfer to a large bowl. While the couscous is cooking, halve the pomegranate crossways (cutting through the 'equator'). Hold a pomegranate half, seeds-side down, over a medium bowl. 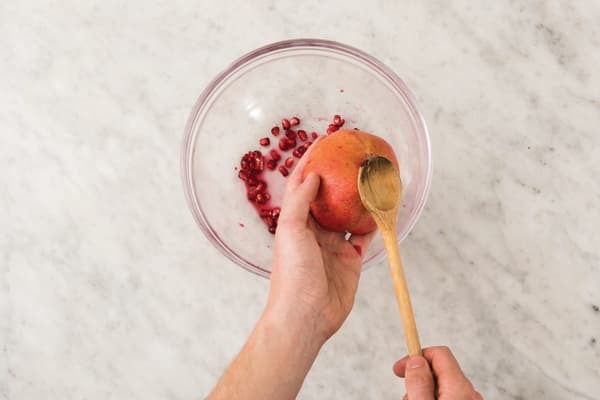 Using a wooden spoon, whack the top of the pomegranate so the seeds fall in the bowl. Pick out any white pith. Set aside. Zest the lemon to get a pinch. 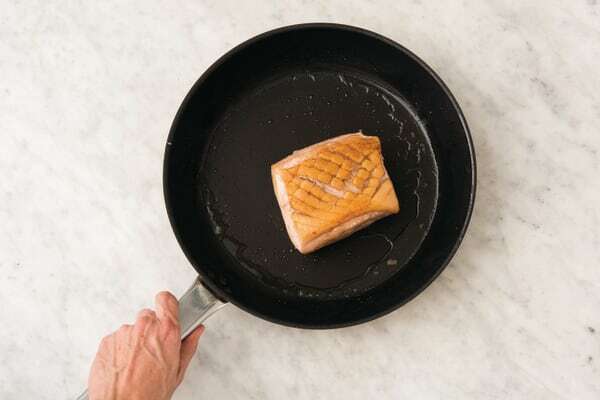 Wipe out the frying pan, return to a medium-high heat and add the butter. Cook for 1-2 minutes or until melted and browned slightly. Add the cauliflower, capers, lemon zest and remaining parsley and toss to coat. Tear the baby spinach leaves. Add the cauliflower mixture, baby spinach, pomegranate seeds (reserve some for garnish) and a squeeze of lemon juice to the couscous. Toss to coat and season to taste with salt and pepper. Thinly slice the lamb. 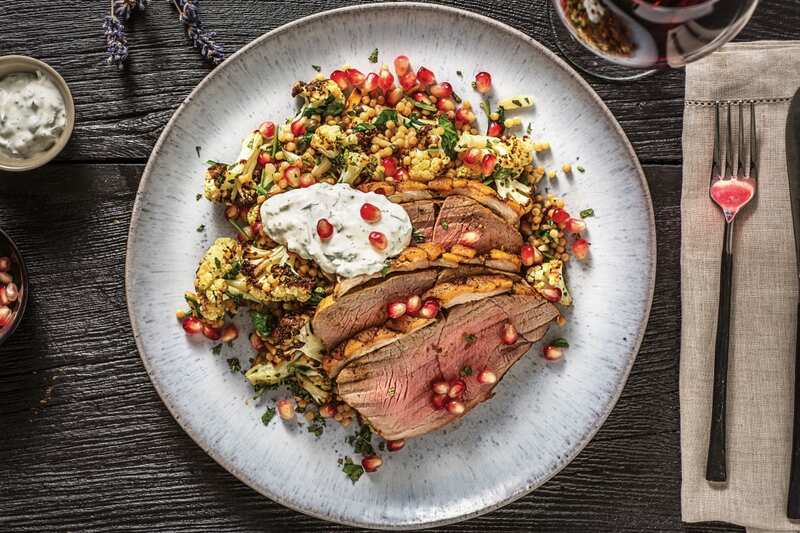 Divide the cauliflower couscous between plates and top with the spiced lamb and any resting juices. Top with a dollop of parsley yoghurt. Garnish with pomegranate seeds.